M.Phil. in Computer Science is a regular one year program me. In addition to the written examination for theory papers, the degree is awar ded after the successful completion of a period of research which includes the submission of a thesis, and its subsequent oral examination, together with a series of Departmental reports and seminars. Eligibility/Qualification : A Master�s Degree with 60% aggregate marks ( or CGPA of 6.5 or above on a 10 point scale or equivalent) in Computer Science/ Computer Applications/ Information Technology or an equivalent degree recognized by the University. An entrance test of three hours duration will be conducted at Thiruvananthapuram. 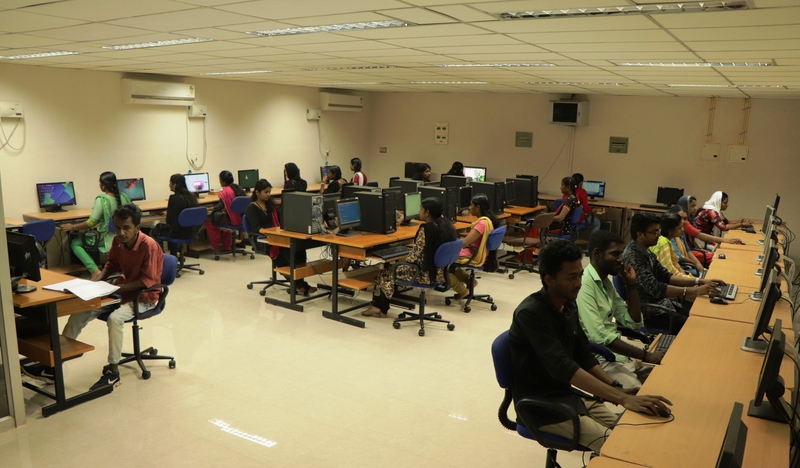 The test consists of multiple choice questions on the subjects in Computer Science and Applications at the postgraduate level. The rank list will be prepared reckoning the marks scored in the Entrance Examination and qualifying examination in equal ratio. The total intake of the programme is six seats, and the admission will be based on the reservation rules followed by the University of Kerala.